A jolly to Paris led to a slight painting detour via Napoleon's Rheinbund regiments, but I'm back in seventeenth century England again. 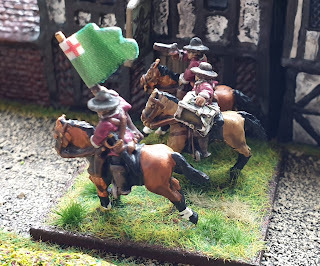 Another outing for Peter Pig's new dragoons. This one utilising the 'other' officer, from the command with flag pack - Waller's dragoons field an officer from the drummer command pack. 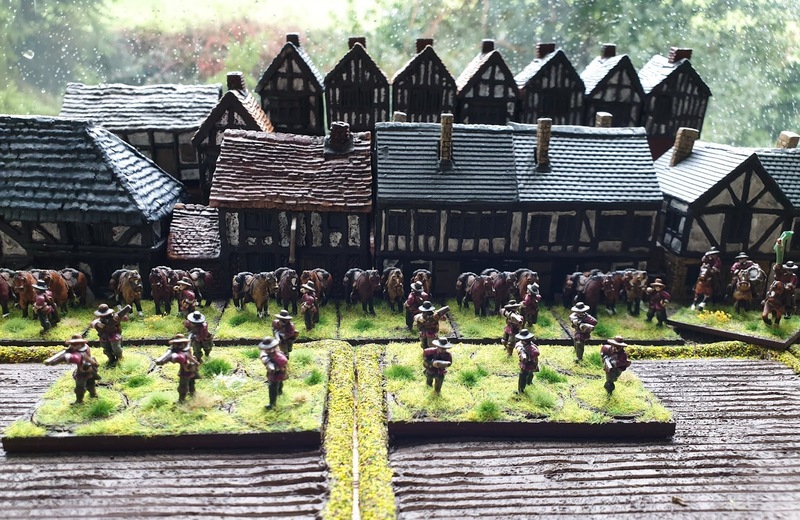 What do we know about Tyldesley's Dragoons? In a nutshell - not a lot to be honest. We know that Thomas Tyldesley commissioned William Blundell to captain a company of dragoons. Blundell had got himself into trouble ''inciting riots" in the 1630s so was probably quite suited to a military life. Most likely raised in Lancashire, believed to have done some rough stuff in Lancaster, Bolton, Preston and the Battle of Whalley Abbey (no, I haven't heard of this battle either). 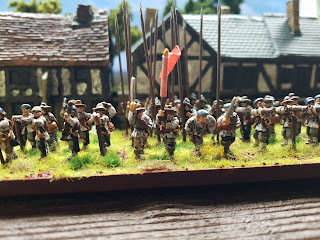 All goes quiet after 1643: specific references dry up after Captain Blundell had his thigh bone shattered by a musket ball in the assault on Lancaster. 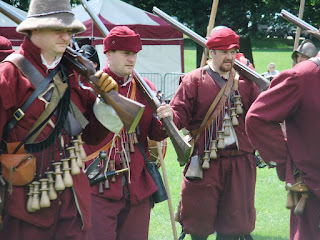 Carbines were issued to the 'horse' late in 1643, these were most likely destined for the company of dragoons; they are believed to have participated in Marston Moor, albeit possibly incorporated into Tyldesley's Regiment of Horse. 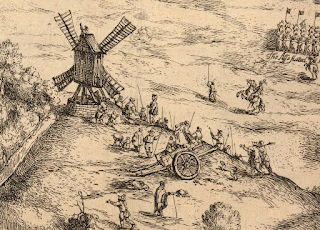 Tyldesley's Horse and Foot were both at Nantwich, and accompanied Rupert on his march to York. If the dragoons still existed as a separate unit it would be fair to assume that they too were present alongside Tyldesley's other regiments. Sir Thomas Tyldesley's Regiment of Foot is part of the English Civil War Society re-enactment society. They wear white coats and field red and white gyrony colours. 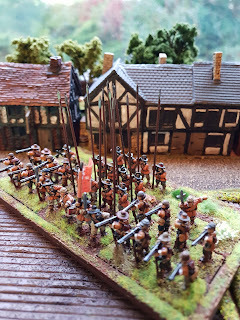 There are a number of historical references which suggest the regiment of foot wore red coats; there is also a reference to "green flags bearing numbers of white crosses upon them" at Marston Moor, which are most likely Tyldesley's. His Cornet of Horse is known - a pelican and motto upon a green background (the BCW regimental wiki describes Dalton's cornet). 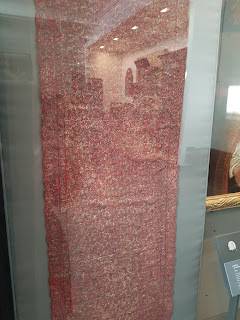 Sir Thomas was a Lancastrian who served as a Lieutenant Colonel at Edgehill (probably because he raised regiments of foot, horse and dragoons). Knighted after the storming of Burton on Trent. 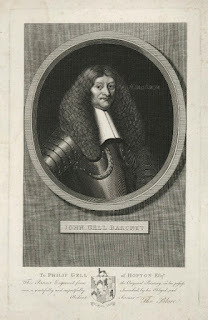 Afterwards he was present at the Bolton Massacre, and became Governor of Lichfield. 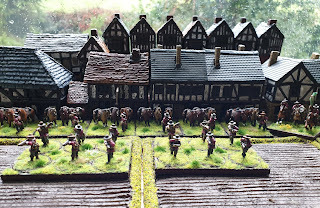 Killed in action at the Battle of Wigan Lane in 1651 (by now a Major General). 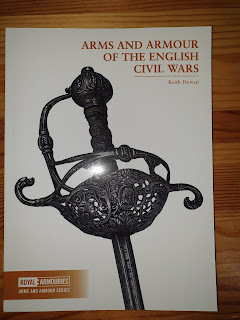 Sir Thomas has his own volume printed by Partizan Press (it might be a coincidence that Stuart Reid was the CO of Sir Thomas Tyldesley's ECWS Regiment, which considering his findings re:coat and colours in his booklet, makes me wonder why the re-enactors wear white coats and carry a red and white gyronny colour). There is quite an impressive monument on Wigan Lane (junction with Monument Lane) WN1 2LR in Wigan, which is supposedly the site of his death. 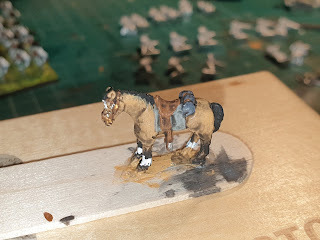 Seeing as we know nothing definite about coat colours and guidon I had free rein to do what I wanted: I fancied a red regiment of dragoons, not a bright madder red, more of a burgundy red. A red shade like the uniforms of these Sealed Knot re-enactors. Fortunately Foundry make the perfect shade, unsurprisingly called "wine stain". 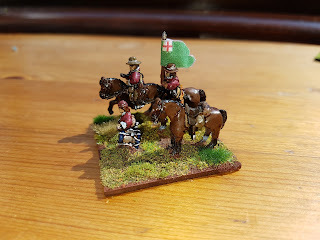 As for their guidon, well I initially decided upon a plain burgundy coloured guidon (replicating the coat colour I chose) with the cross of St George, which Stuart at Maverick was happy to produce for me. After much prevarication - possibly green foot colours, green background to horse cornet... it's really going to be a green dragoon cornet isn't it?